The educational options are endless for homeschooling families. Such a unique journey provides unforgettable experiences. Cathy and Ross Ferrier are experiencing this right now. 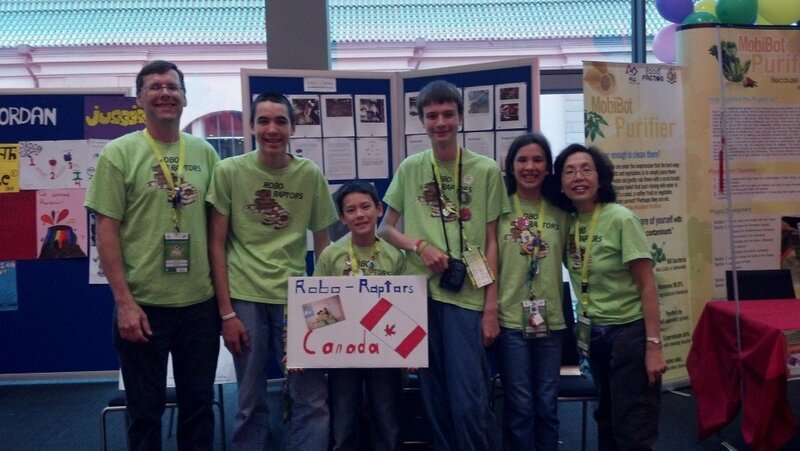 Their older son being interested in Robotics, they started the Robo-Raptors club and are now preparing for a trip to Germany as participants in the FIRST LEGO League Open European Championship! FIRST LEGO League (FLL) is a robotics program designed to engage 9 to 16 year olds in imaginative, fun, and meaningful discoveries in the area of science and technology. It is open to any team of about ten children and at least one adult coach. Teams are required to build robots with LEGO parts. There are various components and tasks to be completed for these competitions. The Robo-Raptors are a team of seven children, aged 9 to 14, and from three different families. As the team worked on their robot, they developed skills far beyond that, such as learning to cooperate and collaborate with different ideas. Cathy found it rewarding to see the team grow beyond what was expected of them in both knowledge and character, as well as developing many other intangible skills. The team participated in the FLL Niagara Regional Qualifying Tournament on December 17th, 2011. They placed third and were given the Robot Mechanical Design Award! They then focused on preparing for the provincial competition. On January 14th, the Robo-Raptors presented their refined robot and placed fourth, receiving the Programming Award. Shortly after this placement, they were excited to receive an invitation to compete in the Open European Championship in Germany! The Open European Championship is the Lego Robotics version of the Olympics. If you would like to help the Robo-Raptors achieve their Olympic dream, email Robo.Raptors.2846@gmail.com for more information. This endeavor has been a fantastic learning experience for the families involved. Participating in such an activity can be overwhelming, but Cathy would like to encourage other homeschooling families to make the choice to do something “outside the box”. The benefits far surpass the effort!